Register to run or walk today! • Make a tax-deductible donation! • Become a Corporate Sponsor! 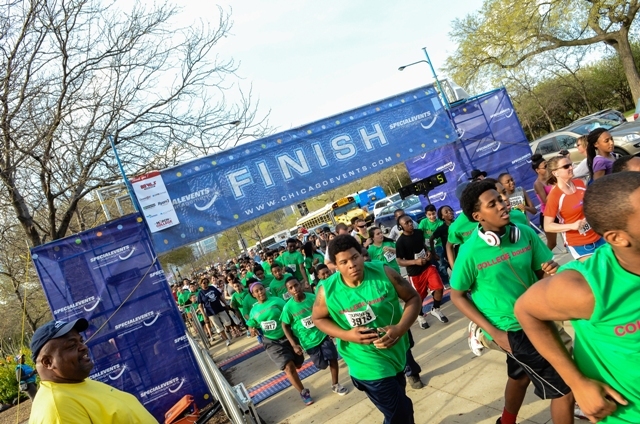 On May 11, 2017 Center for Companies That Care will host its fifth annual 5K March to College in Chicago’s Lincoln Park. The 5K race and fun run/walk is dedicated to increasing college graduation rates among minorities and students with disabilities. Runners, professionals, families, students and high school track teams will be marching to college together. The 5:00 pm 5K fun run/walk will be preceded by a 2:00pm college fair and family entertainment, at Upper Hutchinson Field in Chicago’s Grant Park. Proceeds from this event directly benefit Chicagoland’s underserved children through initiatives like AIM High, a more-than-mentoring program which has successfully been sending 100% of participating students to college for seven years; and Invisible Differences, an initiative promoting college completion for the growing number of students with neurobehavioral and learning disabilities. Follow us on , like us on , and check out which celebrities support the March to College!